Vassar College's Powerhouse Theater celebrates its 30th season with five weeks of new plays, musicals, theatrical readings, and apprentice performances. 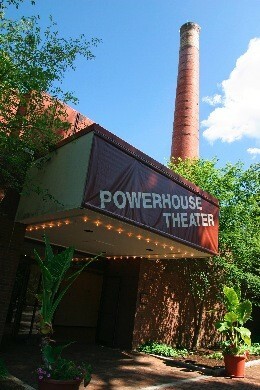 Powerhouse offers an array of fledgling pieces by Broadway-caliber writers for a fraction of the price. Over the past three decades, Powerhouse has cultivated a following of well-educated theatergoers who welcome experimental storytelling, by valuing the public's role in the development process. Mainstage productions often end with "talkbacks," a post-show discussion in which the artists and viewers can ask questions of each other. During workshops and readings, writers and directors monitor their audiences reactions and make note of what scenes need tweaking. The season kicked off on June 20, and will continue with a production of Richard Greenberg’s "The Babylon Line," starting Friday, June 27. Set in 1967, the play follows a 38-year-old Greenwich Village bohemian who commutes to Levittown, on Long Island in New York, to teach an adult-education creative writing class. He finds anything but the cookie-cutter lives he expected in this straight-laced community, as his students come to discover the power of storytelling to transform their lives. And one special student reawakens him to his own artistic impulses. Josh Radnor of "How I Met Your Mother" stars in this development production.